In a careful analysis of the existing literature, the authors marshal an imposing array of evidence in support of their major argument that social mobility is an integral and continuing aspect of the process of industrialization. This classic volume continues to be a basic reference source in the field of occupational mobility. 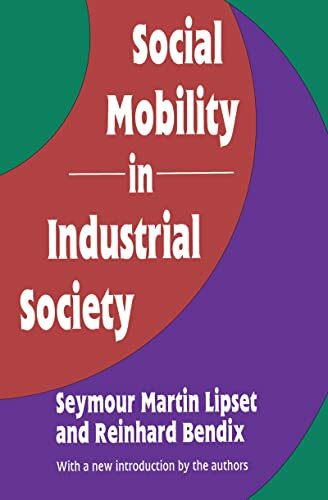 Seymour Martin Lipset (1922-2006) was professor emeritus of sociology at George Mason University. Among his books are American Exceptionalism: A Double-Edged Sword; North American Cultures: Values and Institutions in Canada and the United States; Political Man: The Social Bases of Politics; and Rebellion in the University. He had a long-standing interest in Israel and Jewish affairs, and was past president of the Association of American Scholars for Peace in the Middle East.